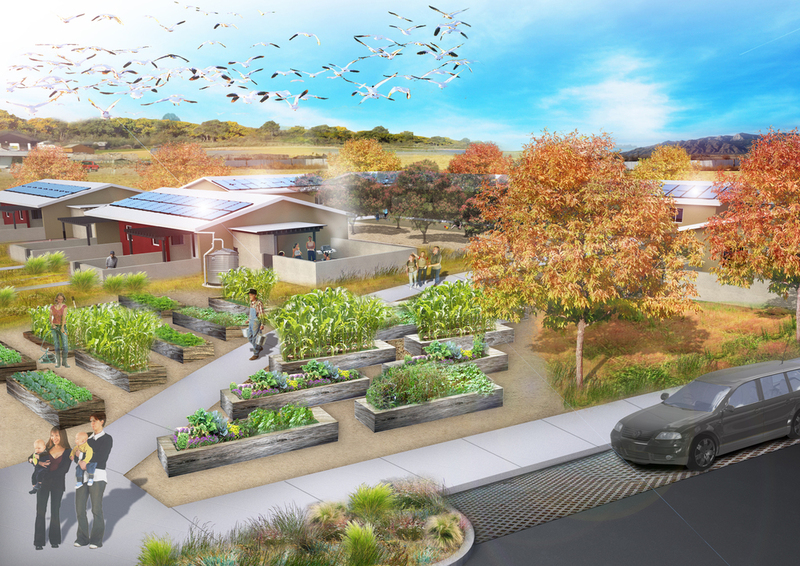 Inspired by the Bosque along the neighboring Rio Grande River, our landscape design proposes an oasis of shade that will reconnect this community’s previously fragmented streetscapes and open space pathways. Outdoor life is a major part of our New Mexican culture, and shade is crucial for a community to enjoy it. Our planting palette utilizes species found directly in the Bosque, as well as regionally proven, drought tolerant species of evergreen shrubs and ornamental grasses that will enhance the community character, yet will remain a low maintenance, water-wise landscape. 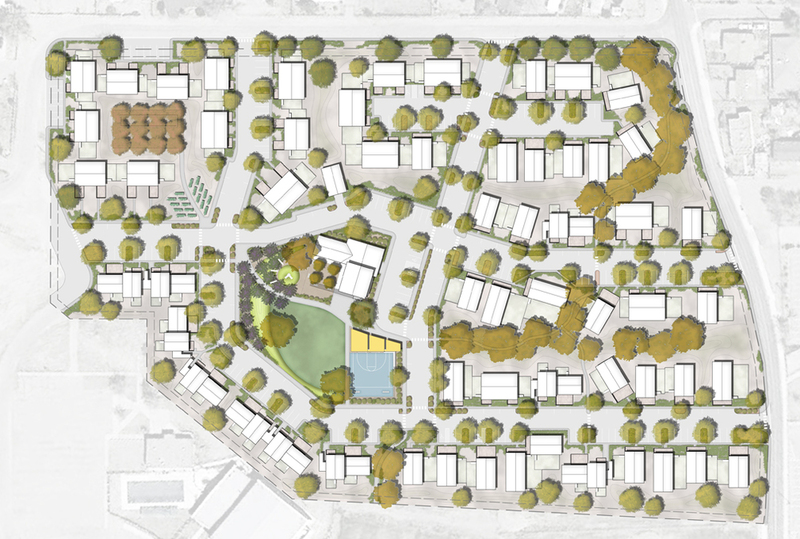 While the design emphasis of our landscape focuses on the energy of the street for the community to connect with its neighbors, infiltration swales are also proposed along the backsides of homes for passive solar benefit and for “Bosque Walks” using Rio Grande Cottonwoods. The fill from these cut swales will be re-used in the community park to form an earthen berm that will anchor play slides at the kids playground, and can be used as an amphitheater for events on the lawn. Community vegetable gardens are prominently sited along streets and a bocce ball court under a grove of trees.